Most dog owners don’t think about where or how their dogs sleep, but every dog needs a special place to snooze where they feel safe and secure. In some ways, dogs are like little people, so here are some ideas on how to give them the bed they deserve. 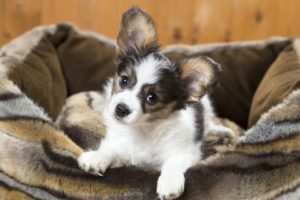 Put toys, or other familiar things, on the dog bed to help your puppy understand the bed is his. 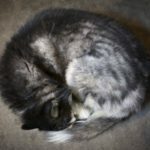 Pick a spot for your dog to sleep. Most dogs will go where you tell them if you establish dominance over the house first. But, some dogs will want to try to choose their own sleeping spot. This isn’t necessarily a bad thing, but it could be the start of controlling behavior. So, if you want to stay in control of your canine friend, you be the one to pick the sleeping place. A nice bed is a must. For extra comfort and joint support, consider getting an orthopedic dog bed. Sure, dogs will sleep on the floor, but many dogs will prefer sleeping somewhere soft and comfortable. Sites like bedbathandbeyond have so many choices of beds that you shouldn’t have any trouble finding something suitable. Do not, under any circumstances, share your bed with a young pup. This is how aggression can start. By putting your pup on the same “level” as you, he may start to get the idea that he’s in control, or that he “owns” you. If other humans (e.g. your spouse or kids) come into the room and try to get on the bed with you, that’s when the aggression starts. With puppies, it’s important to establish routine and a “pecking order.” They actually like being directed and having a job to do. When there’s no structure or order, they get frustrated and anxious, and that’s when trouble starts. Put toys, or other familiar things, on the dog bed if he’s not getting the idea that it’s his. This can help associate good smells with the bed, and make it more likely that he will use it. A bone on the bed can also encourage routine hygiene. The constant chewing and gnawing is good for a dog’s teeth, assuming he is otherwise in good health. Just make sure it’s a raw bone. 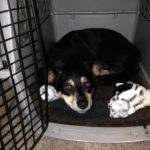 If your dog starts to associate the bed with aggression or becomes dominant, it’s important to nip this in the bud before it becomes serious. Your dog might try guarding the bed, becoming more territorial, and this will only get worse. It’s a mistake most dog owners make to let this aggression happen. They feed it. Don’t do that. You can stop it by asserting your own calm, but dominant, position in the household. Dogs are natural followers. But, when they get no direction, they will get confused and act like the “alpha” in the absence of one. Lure the dog away from the bed, and then stand over it. Practice dominance that’s assertive, but not aggressive. Over time, you will retrain your friend to recognize that it’s his bed, but that you’re in control. Dale Hollingshead works as a manager in a home improvement center. He enjoys writing about living well. His posts can be found mostly on lifestyle and home living sites.